Flexible sourcing is the foundation of our Managed Services strategy and framework, along with our standard output-based pricing model. You maintain control while defining the services, solutions and delivery models that best suit your IT infrastructure needs and budget. 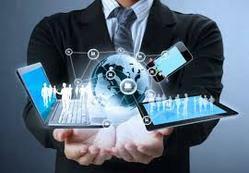 SMARTNET IT SOLUTIONS is a leading player in the IT services industry providing world-class, cutting edge technology solutions and consulting services to its customers across the globe. A worthy subsidiary of our parent company Headfitted, serving primarily the European market, SMARTNET IT SOLUTIONS brings creativity and innovation in service delivery with extensive focus on user context. The wide range of IT offerings provided by SMARTNET IT SOLUTIONS through offsite and in some cases onsite models of operations makes us an advantageous partner to our esteemed clients.